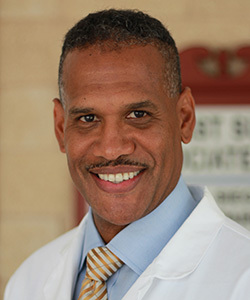 Dr. Donovan Tapper joined Suncoast Surgical Associates in 2012. Dr. Tapper has been a board certified general surgeon since 2000, when he completed a Bachelor of Science in Biology from the University of Texas at San Antonio in 1990 while on active duty in the US Air Force. He continued his military service while attending medical school at the Uniformed Services University of the Health Sciences in Bethesda, MD. He then did his general surgery residency training in San Antonio, TX at Wilford Hall USAF Medical Center, graduating in 1999. Dr. Tapper completed his military service and joined Suncoast Surgical Associates . He has considerable experience in a broad range of general surgery procedures, and has particular interest and training in minimally invasive abdominal surgery to include laparoscopic surgery of the abdominal wall, gallbladder, stomach, colon, and spleen. He also specializes in the laparoscopic treatment of reflux, hiatal hernia, and achalasia.